This event has an 8 ticket limit and a general admission pit on the floor. 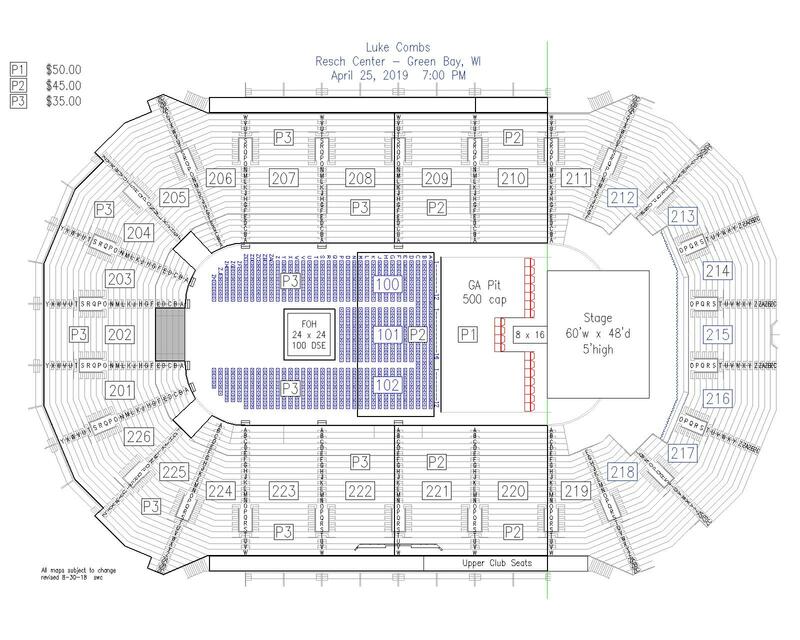 Row A floor seats are behind the pit. Platinum seats also available. Luke Combs Beer Never Broke My Heart Tour with special guests Lanco and Jameson Rodgers comes to the Resch Center! Combs made country radio history as the first new solo male artist to achieve a multi-week No. 1 since 2001.The CMA, CMT, ACM & Billboard Music Awards nominated road warrior recently wrapped his 55-city sold-out first headlining Don’t Tempt Me with a Good Time Tour, performed on all-star lineups for CMA Music Fest, Stagecoach & Austin City Limits and joins Jason Aldean on his summer 2018 nationwide High Noon Neon Tour.